Black and Red Grinning Skull Sword Cane | BUDK.com - Knives & Swords At The Lowest Prices! 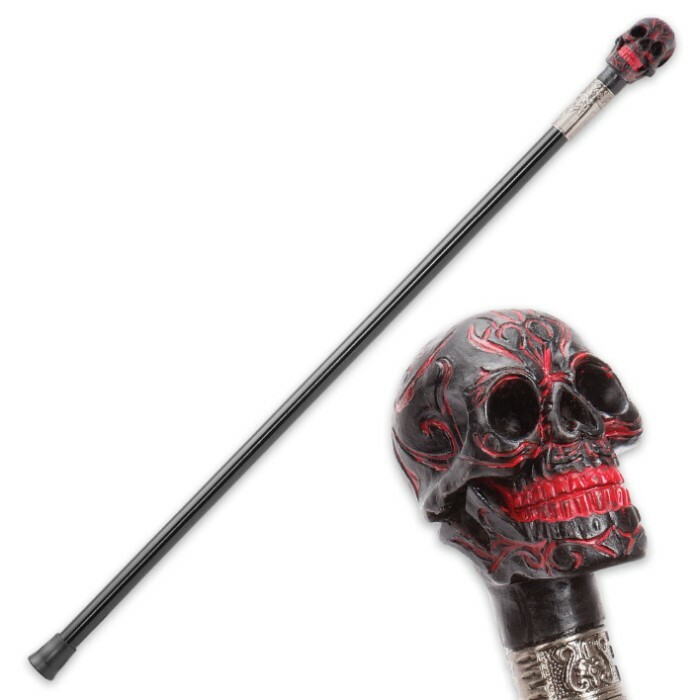 If you’re looking for a conversation piece for your attire, you need our Black and Red Grinning Skull Sword Cane. 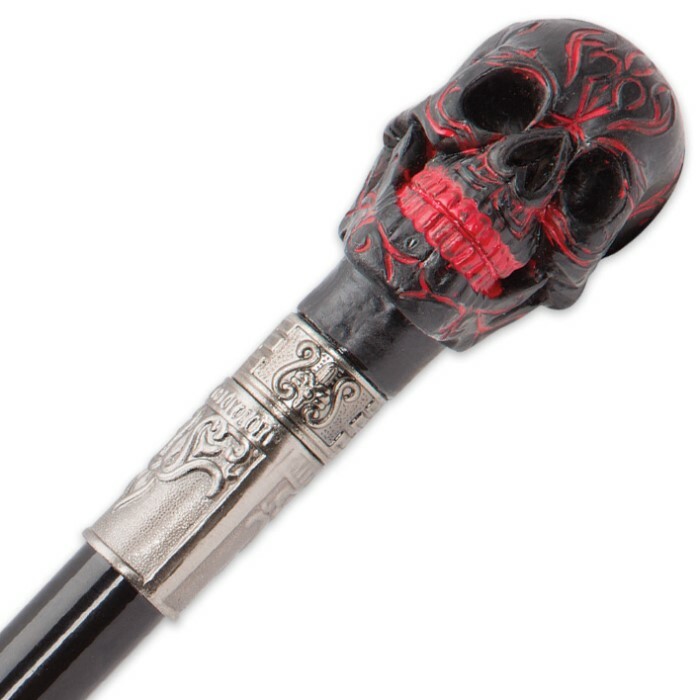 The head of this sword cane is crafted of black resin with red details in the form of a grinning, leering skull. The 15 1/4” hidden blade is made of stainless steel and is accessed by unscrewing the handle. The black iron alloy shaft has a rubber foot for a slip-free grip when using it and the sword cane is 35” in overall length.